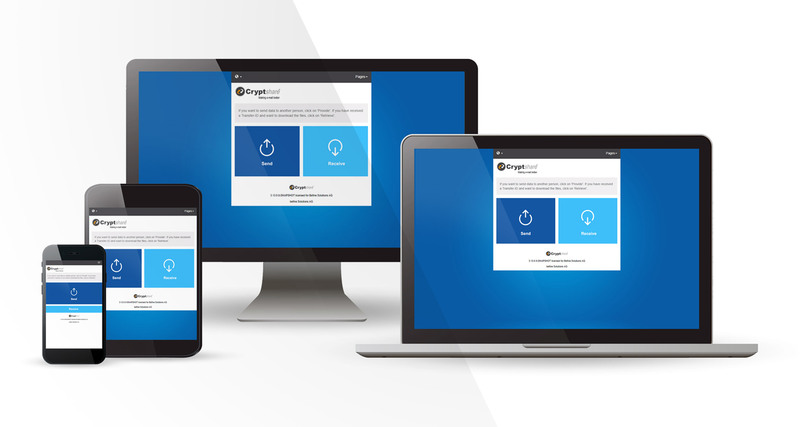 Cryptshare for Outlook: In order to meet our customers' needs even better, we have developed the version Cryptshare for Office 365 & Outlook 2.3.0. The version, which is available as of February 2018, contains optimized features and offers even more convenience when exchanging sensitive data and large files. Outlook email encryption at its' best. Outlook email encryption - What does version 2.3.0 offer? Conveniently send Cryptshare mails from Office applications with Cryptshare for Outlook. With Cryptshare for Office 365 & Outlook 2.3.0, users can now perform a Cryptshare transfer from within Office applications. This means that a Word document, an Excel file or a PowerPoint presentation can now be sent via "File" and "Share" with Cryptshare. The user enters the recipients' address and the subject as usual. It's as simple as that. Outlook is widely used by companies and enjoys a high level of user acceptance. We have integrated Cryptshare into the Office package so that users can work in their familiar working environment. Improved usability provides even more time savings. First class Outlook email encryption. Cryptshare now supports users in accessing their own mailbox. 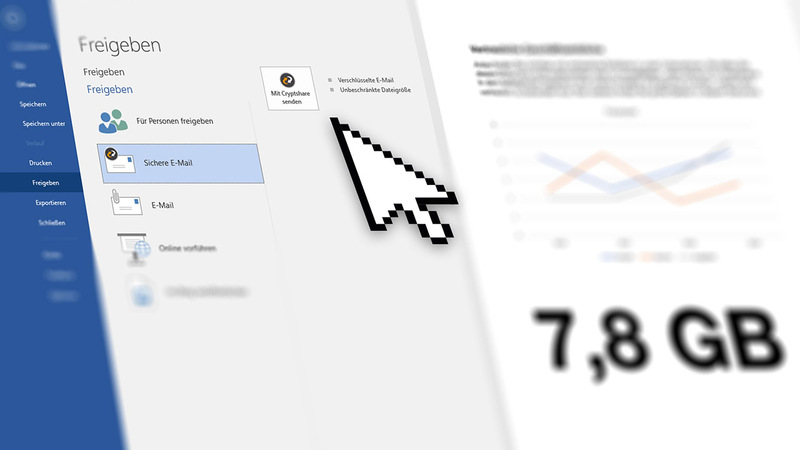 This means that employees can grant eachother access to their mailboxes and send Cryptshare mails on behalf of colleagues. In this way, two or more users can easily and securely exchange information and files with the respective communication partners in the case of vacation replacement. The possibilities of the protective e-mail classification have been even further enhanced. You can now restrict the recipient group on the basis of a selected classification type. This can effectively prevent an e-mail from being accidentally sent to the wrong address. There are even more innovations. The number of classification levels of the Cryptshare protective e-mail classification has been increased from ten to 25. The "no classification" icon is now configurable, and the selected classification level can now be displayed in the server log. In addition to the subject, a prefix or suffix can be added which indicates the recipient of the selected classification at first glance. Futhermore, a highlighted info text can be displayed in the message. 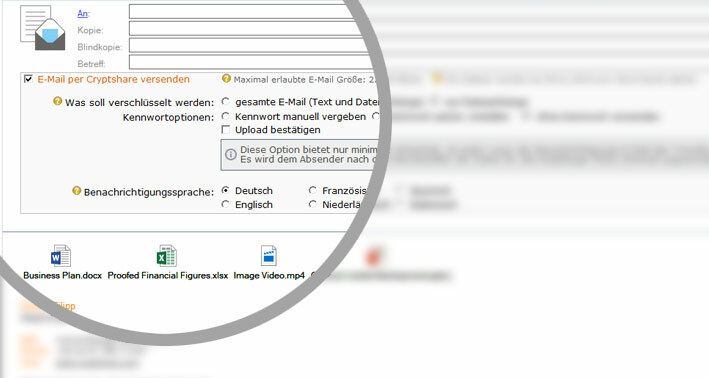 The classification dropdown offers increased usability: color coordination and icons show the character of the classification with the help of a lock. Moreover, the sender receives an explanation of the respective level when selecting the classification, which makes it easier for the user to make the classification selection decision. The transfer manager displays all new files that are ready to download. Its display can now be configured as desired. If prefered, it can also remain permanently closed. The user then sees the number of new files on the transfer manager icon in the ribbon band at the top. Cryptshare for Outlook requires the .net framework 4.5 and the Office package 2010 or a newer version. The solution gives administrators and end users even more possibilities to adapt their digital communications to their needs. It simplifies the work of administrators and supports end users even more in securely sending data. To install Cryptshare for Office 365 and Outlook v2.3.0, follow these instructions. 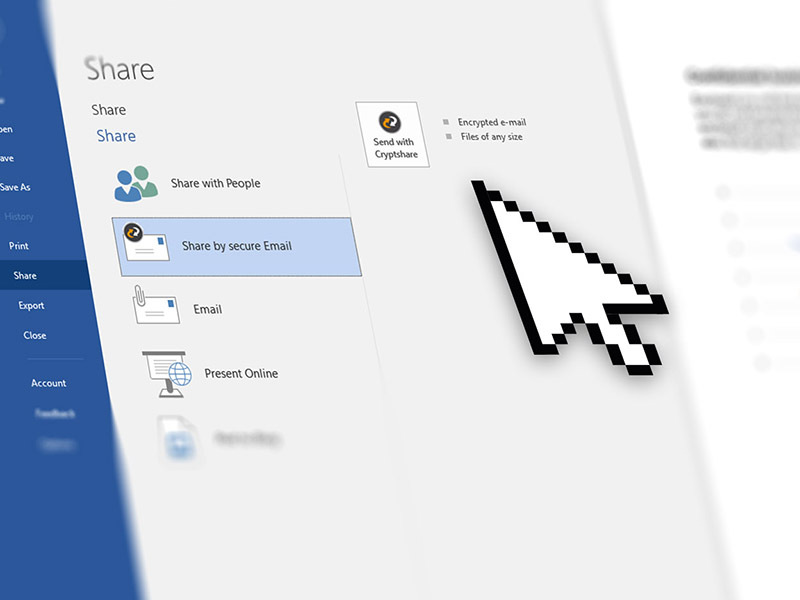 Would you like to test Cryptshare for Office 365 & Outlook for the first time? Then you can set up a hosted demo version here or test the solution completely on your own server.